Baby Rhino Badger at Baby Rhino Rescue | Adopt and Donate Now! 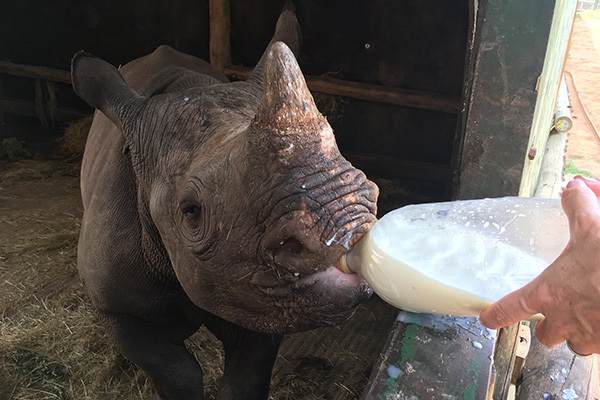 On the 8th November 2017, Care for Wild Rhino Sanctuary received another black rhino calf. As part of a relocation project in the Kruger National Park, Badger was separated from his mother. They were reunited after much difficulty but sadly little Badger was chased by hyenas and lost his mother again. 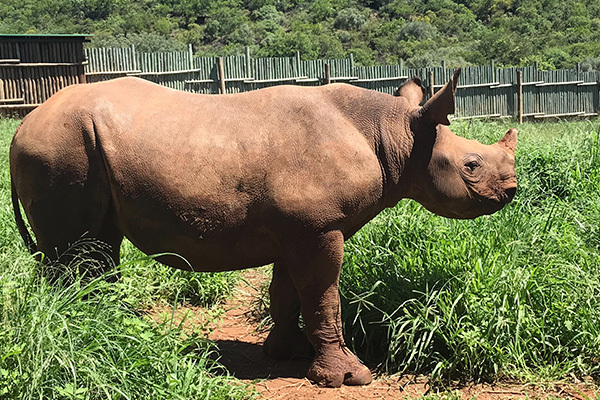 It was decided to take him to the Care for Wild Rhino Sanctuary. On arrival he was very dehydrated and put in a crate and placed on a life saving drip. Closely monitored, Badger took his first bottle of milk the next day and then promptly guzzled 12 litres of milk through the night! It didn’t take long for Badger to be strong enough to be put into a boma, next door to the other black rhino, Phoebe. 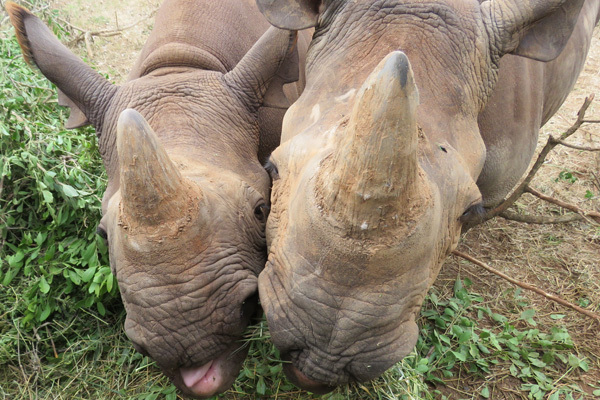 The two young black rhinos greeted each other through the fence. Everyone eagerly anticipated their introduction. When the gates were open, Badger went into Phoebe’s boma, to explore. He came across her in the grass and dashed off, tail in the air! But he is a persevering guy and went back again. After a week, the two became inseparable. Badger is the younger one, so Phoebe takes care of him, with deep motherly care! Rhinos are very emotional animals and bond deeply. Badger is a unique rhino: he has birthmarks. This is very unusual and his pink patches make him all the more beautiful. Badger is a designer rhino!